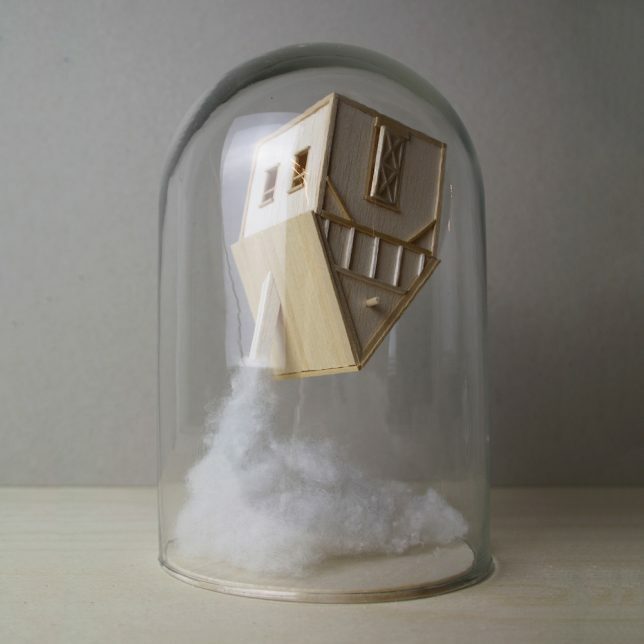 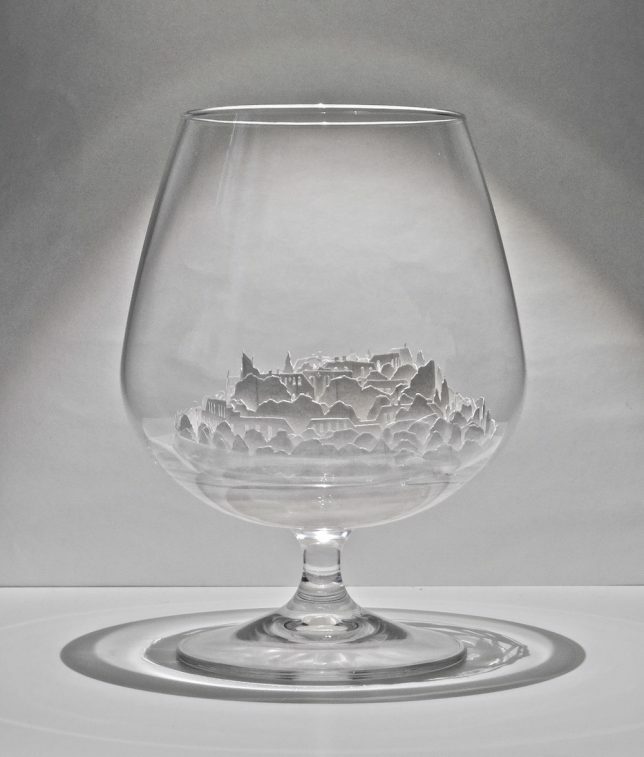 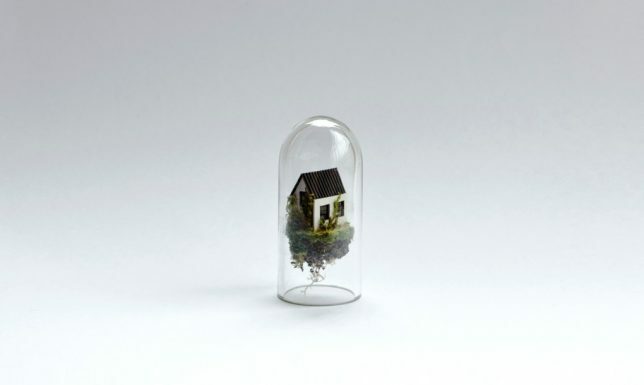 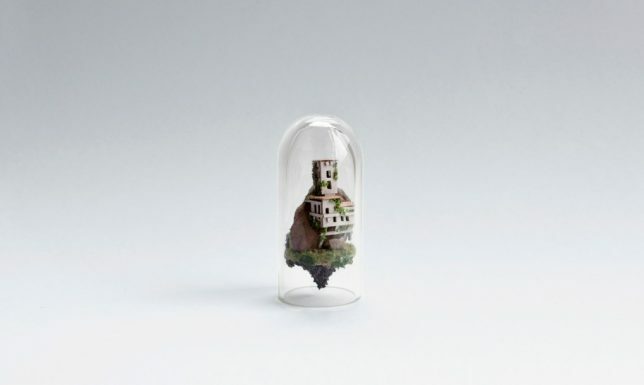 Sheltered by glass vessels like tiny self-contained biomes, these miniature buildings and cities seem to have their own atmospheres and variable gravity, with houses teetering on the edges of cliffs or springing out of clouds in the sky. 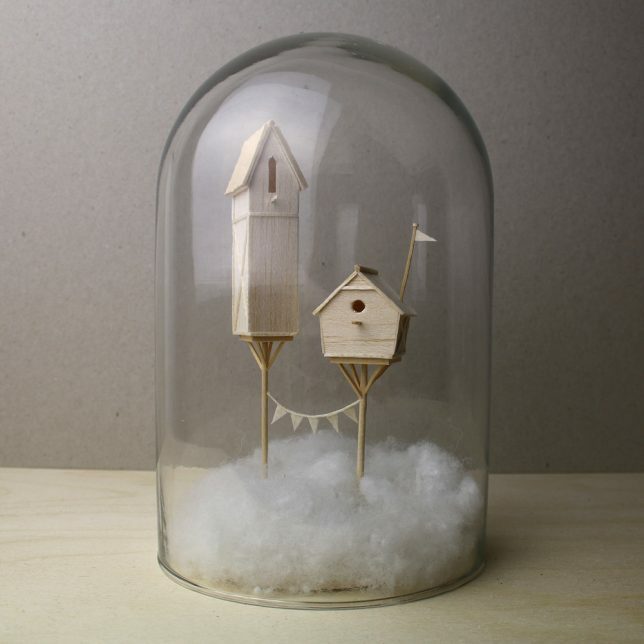 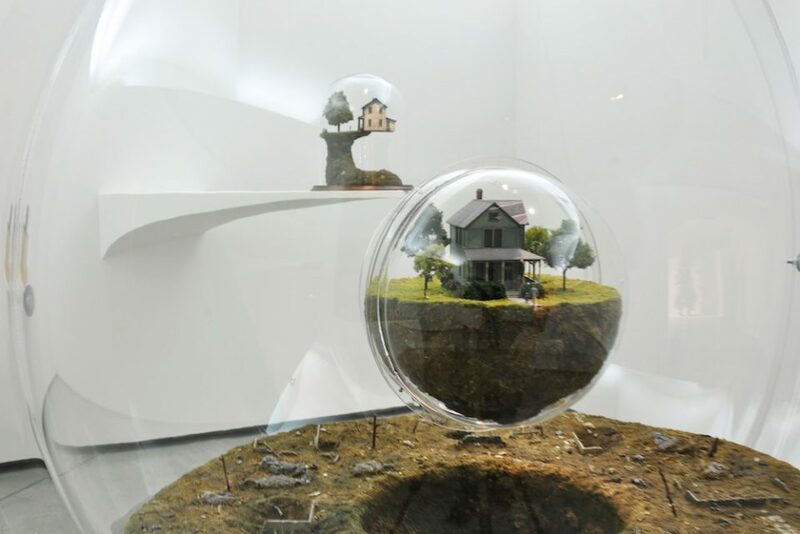 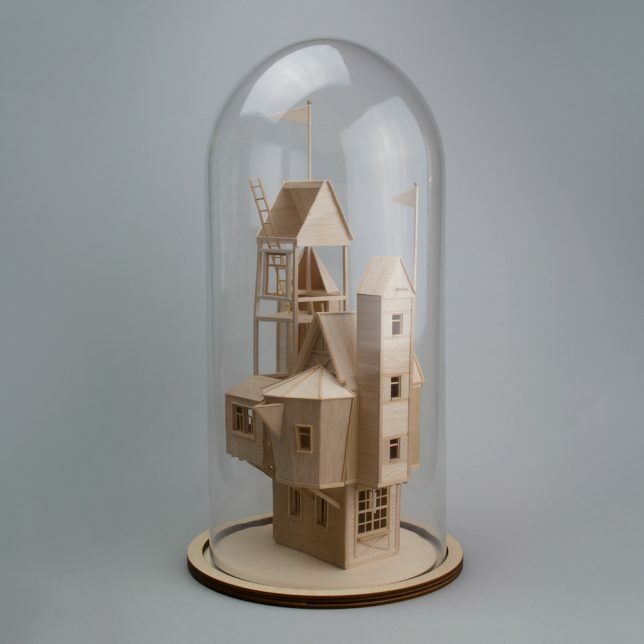 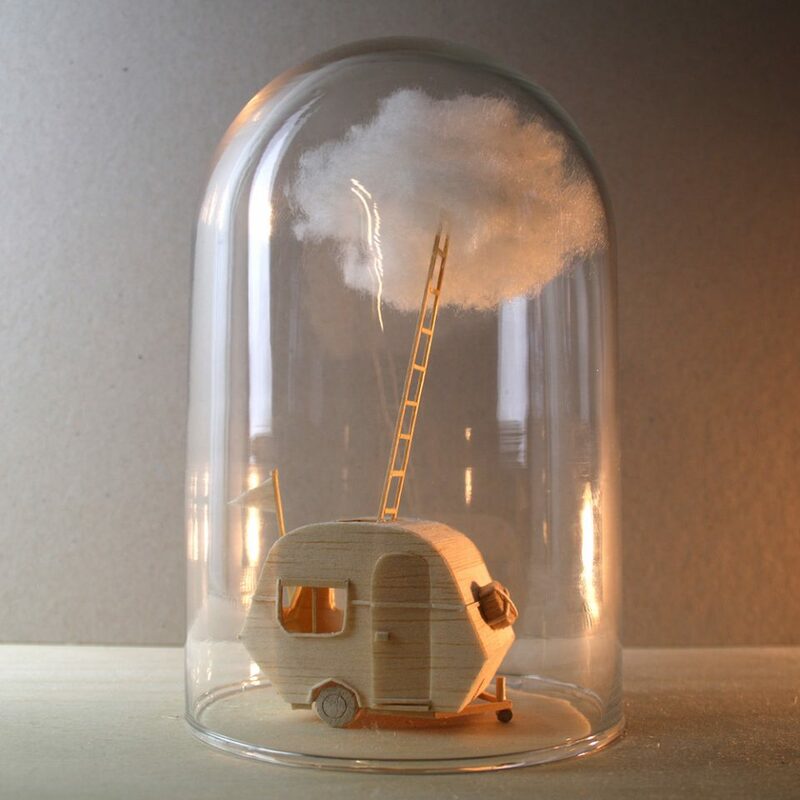 Artists craft small-scale structures from balsa wood, paper, cardboard and other materials and house them under domes, bottles, teapots and Victorian terrariums. 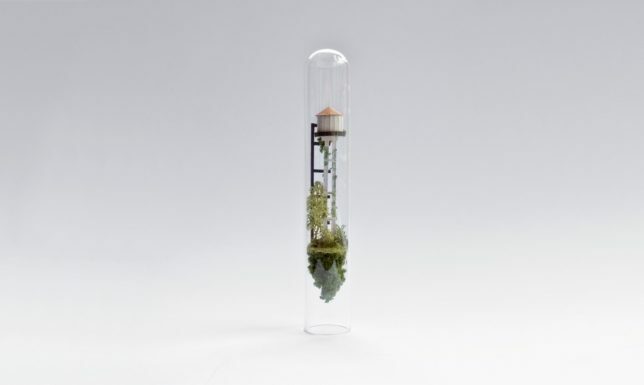 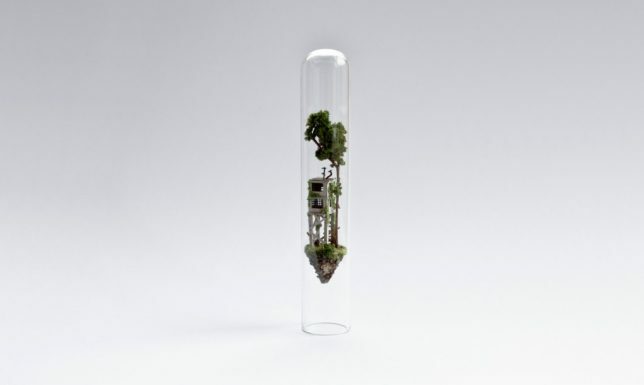 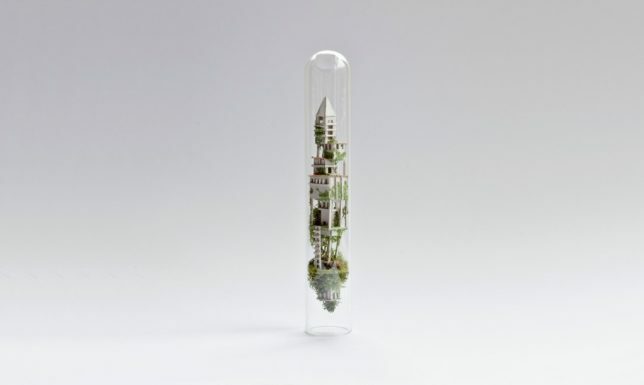 Enclosed within glass domes or test tubes, Rosa de Jong’s ‘Micro Matter’ sculptures bring unfathomably small worlds to life, each one seemingly floating in its own low-gravity atmosphere. 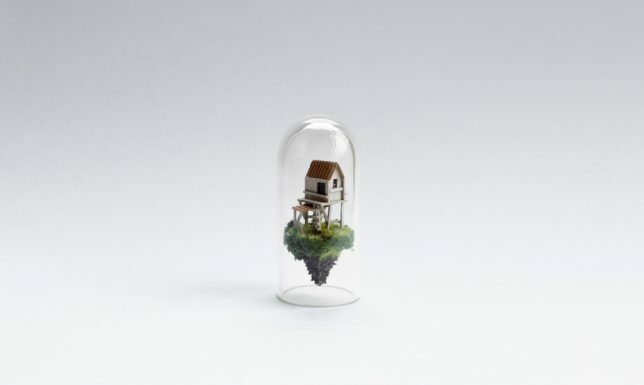 The works often feature dilapidated homes, farm buildings, mines and construction sites, exploring the ways in which built environments interact with nature. 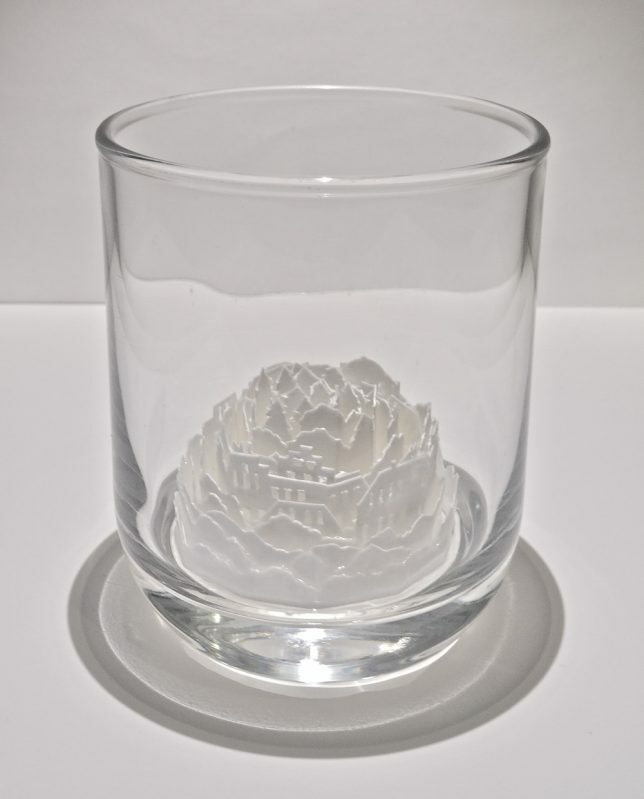 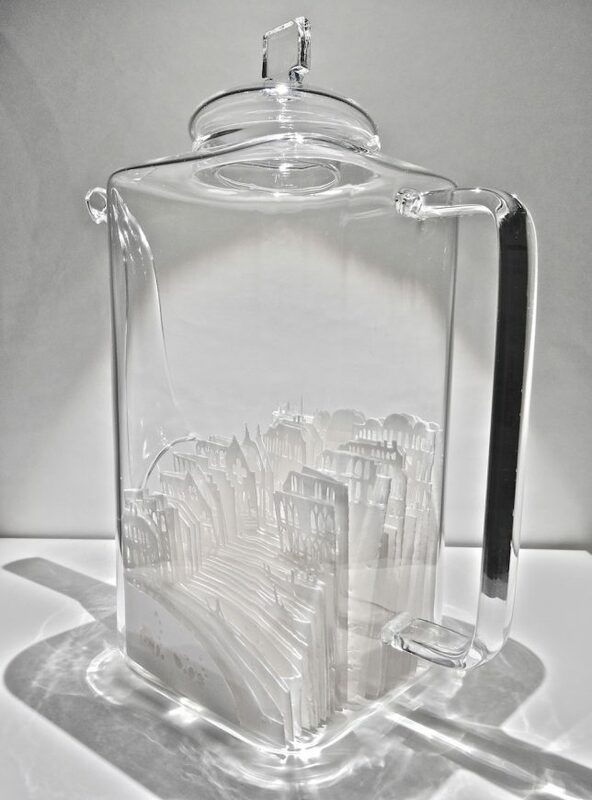 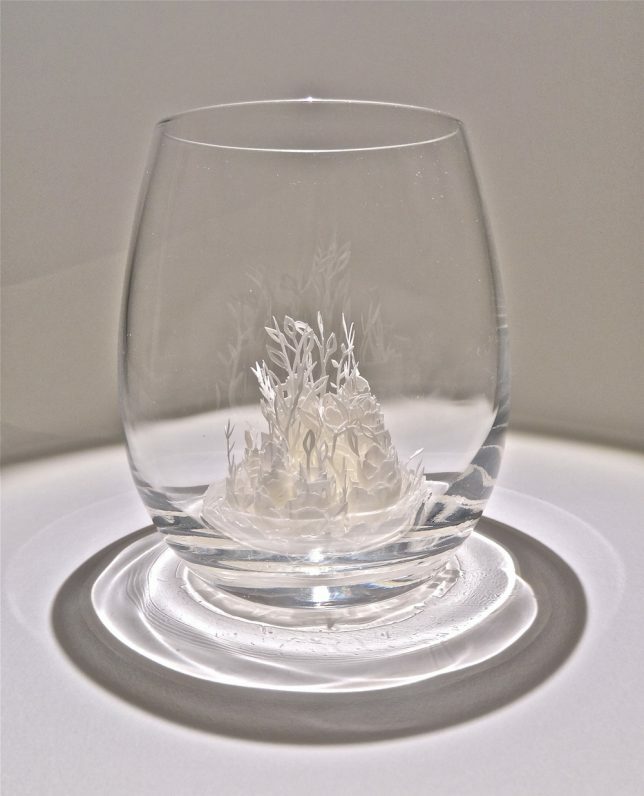 The sculptures are created in a way that’s similar to building a ship in a bottle, snugly inserting the pieces to fit their vessels just right.